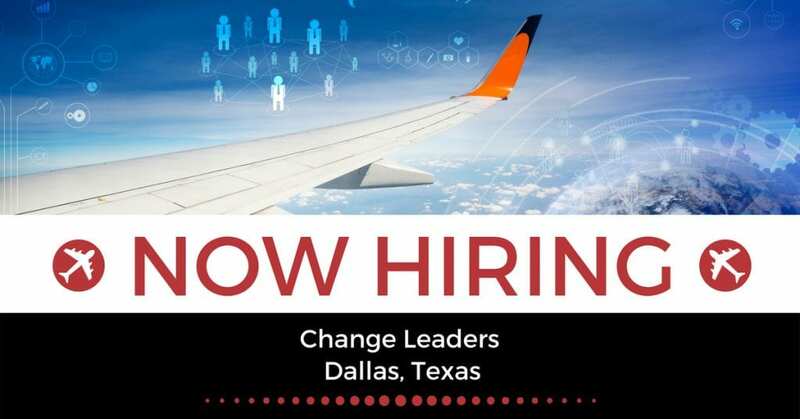 STS Technical Services now has Change Leaders jobs in Dallas, Texas. The Change Leader II of the Strategy Planning & Implementation department is responsible for successfully initiating and driving medium to large, company-wide strategic initiatives. This includes support and guidance for business and technology initiated projects, as well as building the plan for managing projects through the change initiative process. This position requires strong knowledge of technology processes and implementation procedures, as well as a understanding of the business and operational units. In addition, this individual will provide internal Team support to Strategic Planning, Portfolio Management, and Program Management. This person will be required to direct research and analysis to develop conclusions and present findings to senior executives. They will partners with senior leadership and other departments to lead significant change initiatives in support of the Company’s strategic plan. Personally considered a change leadership expert responsible for driving analysis, recommendations, decisions, and delivery. This particular Change Leader will be supporting a large technology change within Technical Operations. This change will impact the front line employees in this department; including mechanics, material stores employees, engineers, and the back office employees that support maintenance and engineering. They will be front line facing, tasks with ensuring the adoption is made to a new way of thinking and entering in orders and how tasks are assigned and tracked. This project has an existing change team of 2 people, so this resource will be coming into an established team, with an established communication plan. In conjunction with this team, this change leader will work to drive leaderships communication strategy, as well as interact quite a bit directly with front lien employees. Must have proven analytical and quantitative skills; experience with spreadsheets or other quantitative modeling. Must have the ability to assume a high level of responsibility and to provide direction in a cross-functional, team-oriented environment. Must have the ability to properly manage highly sensitive and confidential information. Must have the ability to contend with the range and complexity of large business problems. Must have the ability to plan and drive large business initiatives to completion. Must have the ability to partner and work effectively with all levels of management to develop and implement Company plans. Must be an expert in developing and delivering presentations to large audiences including senior leadership. Must have excellent written and verbal communication skills including the ability to communicate complex issues in a structured and concise manner. Must have the ability to identify and resolve issues. Must have the ability to design and conduct analyses, as well as synthesize recommendations.